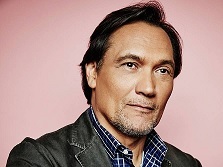 Claim To Fame: Jimmy Smits is an American actor best known for playing attorney Victor Sifuentes on the 1980s legal drama L.A. Law, NYPD Detective Bobby Simone on the 1990s police drama NYPD Blue, and memorable recurring roles on The West Wing, Sons of Anarchy, and Dexter. Family Life: Smits was married to high school sweetheart, Barbara Smits, from 1981 until 1987. They have two children together, Taina and Joaquin. Info: Graduated from Thomas Jefferson High School. Earned a bachelor's degree from Brooklyn College in 1980. Received a MFA from Cornell University in 1982. He's a regular stage performed at the Hangar Theatre, Public Theater's New York Shakespeare Festival, on Broadway, and at Steppenwolf Theatre Company. Trivia: Smits has been a long-term relationship living with actress Wanda De Jesus since 1986. Turned down the offer to play a character named Flinn on NYPD Blue (1993). The character in question was later renamed Detective John Kelly, played by David Caruso. 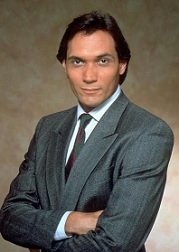 Ironically, after Caruso's departure from the series in 1994, Smits accepted the role of Detective Bobby Simone (Detective Kelly's successor). Was named as "King of Brooklyn" at the Welcome Back to Brooklyn Festival in 1991. Honored by the Congressional Award in Washington, D.C. with the 1997 Horizon Award. The Horizon Award is a special recognition from the Joint Leadership of the United States Congress and the Congressional Award Board of Directors. The Horizon Award is presented to individuals from the private sectors who have contributed to expanding opportunities for all Americans through their own personal contributions, and who have set exceptional examples for young people through their successes in life. Is a partner in "The Conga Room" club in Los Angeles, California with Jennifer Lopez, Paul Rodriguez and Brad Gluckstein. Where Are They Now: With a guest spot on Brooklyn Nine-Nine and a recurring role on ABC's hit drama How to Get Away with Murder, Smits is busier than ever these days with no signs of slowing down.